The new 2018/19 range of Hamer Guitars are now available in the UK! The Special Jr. - The 2018/2019 Special Jr. is based on slightly downscale version of the Sunburst that was originally released in 1980. It differed from the Sunburst mainly in that it lacked binding and an arched top. Built with a full depth dovetail neck joint and fitted with a Hamer Dog Eared P-90, the Special Jr provides resonance galore. 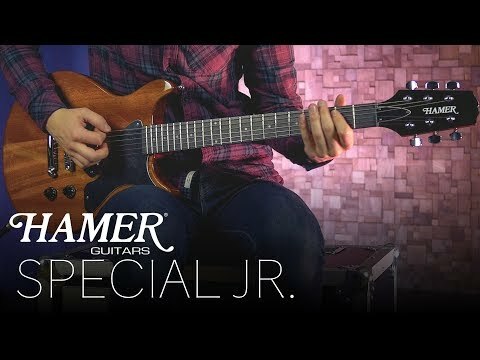 More information on the Hamer Guitars range at UK distributor Sound Technology Ltd: https://www.soundtech.co.uk/music-retail/hamer-guitars Demo by Elliott Thomas / Sound Technology Ltd.